On July 25, 2011, Alameda County Superior Court Judge Thomas M. Reardon postponed the sentencing of Yusuf Bey IV and Antoine Mackey until August 12 to, allegedly, investigate “Devaughndre Broussard & Perjury,” he off handedly remarked that the issue might be “a tempest in a teapot.” Judge Reardon’s remark has proven to have been more than any off handed remark. It was a covert PLAN of re-imaging and ILLUSION to hide behind. On August 12, 2011, I had been caught in that ILLUSION. I though if only for a moment that there was glimmer of hope that the issue would be open and a full and fair public hearing would take place on the perjury issue with the parties under oath. In this case, “A Tempest in a Teapot” has been used as a code phase of re-imaging Broussard’s mental instability; a cover-up & containment. Whatever public tempest (storm) over Broussard committing perjury in the conviction of Yusuf Bey IV and Antoine Mackey for Chauncey’s murder was about to be contained in a literal teapot. The entire proceeding on Broussard’s perjury couldn’t come to light of the day. In fact, the Chauncey Bailey Assassination has seemed to come to the point of a JFK, Dr. King and RFK cover-up, it can’t stand the light. Judge Reardon’s Broussard perjury investigation was held “in camera” classified and concealed behind the judge’s chambers more like ALL THE PEAS IN A POT. In camera (Latin: “in a chamber”) is a legal term meaning “in private“. It is also sometimes termed in chambers or in curia. In camera describes court cases (or portions thereof) that the public and press are not admitted to. In camera is the opposite of trial in open court where all the parties and witnesses testify in a public courtroom, and attorneys make their arguments in public to the trier of fact. Entire cases may be heard in camera when, for example, matters of national security are involved. A jester, joker, jokester, fool, wit-cracker, prankster or buffoon was a person employed to tell jokes and provide general entertainment, typically by a European monarch. The root of the word “fool” is from the Latin follis, which means “bag of wind” or that which contains air or breath. Behind the curtains of the Chauncey Bailey Assassination play in the Alameda County Superior Court, the real script writers and the Monarch can be found. The script writers and protectors of the Monarch in the Chauncey Bailey Assassination Cover-up and Frame-up is Squad 13, a joint counterintelligence-terrorism division of OPD, Homeland Security, FBI, NSC, DIA and the CIA. OPD Sgt. Derwin Longmire outed and publicly exposed Squad 13 for the first time in a Federal Court Deposition (Longmire Deposition, pg. 40, Longmire v. Oakland, U.S. Federal Court, Case No. C-10-01465 JSW]). Sgt. Longmire didn’t fit in.They turned on him. They set Sgt. Longmire up. The number 13 has an overwhelming occulted significance. Revelation 13: And I stood on the sand of the sea, and saw a beast rise up out of the sea, having seven heads and ten horns and upon his horns were ten crowns, and upon his heads the names of blasphemy. 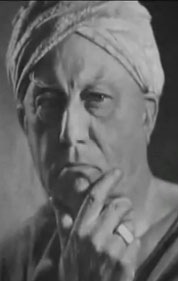 The Great BEAST 666, Aleister Crowley, Freemason 33°, 90°, 95°, X°  believed that he was the BEAST of the 13th Chapter of Revelations. Squad 13 is a chosen clandestine order that believe in magic and blood rituals, a secret priesthood, who believe in Albert Pike’s “eternal law” that the dual worship of good and evil gods brings “balance” to the universe. They give Albert Pike and Aleister Crowley their greatness honors. Reichsfuhrer SS Heinrich Himmler not only tried but did in fact idealize the SS as a twentieth century incarnation of the German Order of the Teutonic Knights. Himmler’s secret Teutonic Knight Order of aristocracy based on traditional values of honor, obedience, courage and loyalty was adopted lock, stock and barrel by Allen Dulles and Frank Wisner, among others, of the CIA. 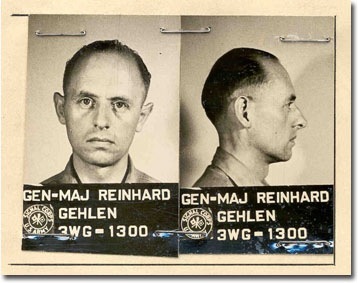 According to the 1945 Secret Fort Hunt Treaty between Nazi Der Generalmajor Reinhard Gehlen, Himmler’s SS and U.S. Government, they created and molded the CIA (Frank Wisner, etc.) as an aristocratic privileged caste; an extension of the Himmler’s secret New Order of Teutonic Knights masqueraded as the more acceptable Knights Templar. Sitting atop the Freemasonry ancient hierarchical order is the Vatican’s knight crusaders of the Middle Ages, Knights Templar 13] and the secret Teutonic Knights. Frank Wisner brought Josef Goebbels’ well-funded mass media propaganda-population mind control machine to America. He called his covert control (Project Mockingbird) over America’s media, whether it is television, radio, movies or theatre, “Wisner’s Wurlitzer.” Theatre Play Actor, Alameda County Superior Court Judge Thomas Matthew Reardon, below. This Real Strange Song and Dance Man that also plays a Alameda County Superior Court Judge has quite a stage presence and is no stranger to wonderlands and fantasies. In the theatre circuit, Judge Reardon, 46 or 47 years old, is known as a good ole boy of the system and a Broadway Baby. Good Ole Boy Tom is really a NWO song and dance man which is exactly what happened on August 12, 2011 written and directed by the Ruling Monarch and Priesthood of Squad 13. 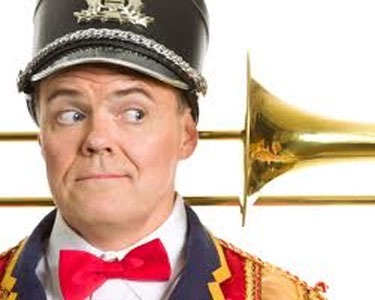 The so-called perjury investigation of Broussard was a “Song and Dance.” It was an old time-good time flea circus. It was an illusion. Judge Reardon has a history of playing detectives, fantasy-evil roles and song and dance. 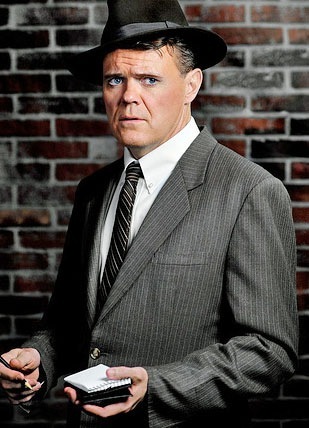 In the Diablo Theatre Company (DTC) production of the play Curtains, Oakland’s Tom Reardon plays Lieutenant Frank Cioffi, a Boston homicide detective investigating the death of a musical theater diva. The actor, Judge Reardon, has performed with a number of Bay Area companies, including Contra Costa Civic Theatre. He previously appeared in DTC productions of Peter Pan (he was Captain Hook in 2007), and last year he was Henry Higgins in the Lamplighters production of My Fair Lady. Sisyphus is a reference to Greek Mythology. 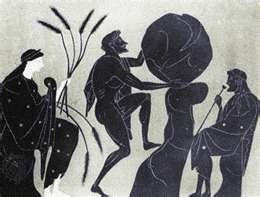 Sisyphus was the mythical founder and first king of Corinth. He was a cunning trickster, known for his abilities to deceive gods and humans alike. He was also known as a murderer in his own kingdom, as he would often entertain himself by killing travelers to his city. Sisyphus was deemed guilty of his belief that he could outsmart the gods, and that he had betrayed a secret of Zeus as if it were his place to be involved in the affairs of a god. 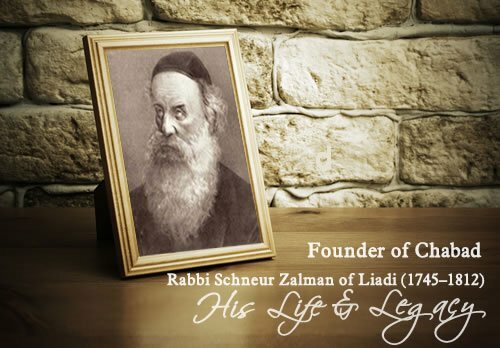 As punishment, he was condemned to spend eternity rolling a boulder up a hill. Each time the boulder would near the summit, it would roll back down to the bottom. Sisyphus would then be forced to repeat his task over and over again. Sisyphus is an interesting use of an ancient analogue for the White Man’s Burden, trying continually to civilize “Demons and Devils” feels like the Rock of Sisyphus. This spectacle of scenes out of Greek Mythology; and inquisition of young Black men as “Demons and Devils” entrapped in an illegal racialist CIA Crack Cocaine Conspiracy; and COINTELPRO counterintelligence operations is a window into Judge Reardon’s obsession with mythology, fantasies, and white supremacy in the people’s courtroom. Judge Reardon knew exactly what the Sisyphus Myth meant but twisted it and turned it inside out. Man (Sisyphus) is “god.” The bottom line is that Judge Reardon and LeRue Grim and secret Squad 13 Luciferian Priesthood and the NWO see eye on eye on this point. In 2004, Alameda County Public Defenders appeared before Judge Reardon to demand that he remove himself from their cases. Reardon was the calendar judge. He moderated discussions between defense attorneys and prosecutors to determine whether plea bargains can be worked out and then, as necessary, assigns cases to trial judges. Reardon sentenced defendants who agree to plea deals in his court. Defense attorneys were complaining that Reardon was vetoing a substantial percentage of proposed plea bargains. Reardon subscribed to the practice and pattern that the punishment offered in plea bargains rises the nearer a case gets to jury trial. This underhanded practice allowed him to consistently ease the burden of Sisyphus by putting more and more of his re-imaged uncivilized poor, Black and Brown defendants behind bars with stiffer, longer and harsher sentences. 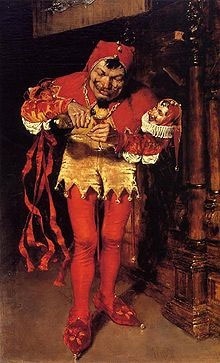 Judge Reardon may be strange and entertaining song and dance man but he is no laughing matter. After the perjury cover-up and flea circus, the song and dance man went on to enter Broussard’s guilty plea into the public record and hurriedly sentenced him to 25 to life in prison without a trial and any hearing or independent evidence of Broussard’s mental history or state. In entering a guilty plea and sentencing him to prison for 25 years, Broussard joins a elite group of CIA-MK ULTRA convicted COVER-UP pasties, Jack Ruby, James Earl Ray and Sirhan Sirhan. Sirhan had a jury trial, but his attorneys tried to dispose of him by making him plead guilty to capital murder. When that didn’t work, his own defense attorney, Grant Cooper, asked him on the stand in a MK ULTRA state of mind before the jury if he had killed U.S. Senator Robert F. Kennedy, he responded, “Yes, Sir”,  just like Devaughndre Broussard. At the time of the trial of Sirhan Sirhan, there were chilling connecting dots linking his defense counsel, Grant Cooper, with the infamous CIA Contractor Mobster John Roselli of JFK Assassination and Cover-Up. It seems as though Chauncey Bailey, Your Black Muslim Bakery (YBMB) and 9-11 has the same common effect on the psyche of Black Folk in the Bay Area. They won’t talk about either one. Over the years, I have missed only one Northern California 9/11 Truth Alliance Annual 9/11 Truth Film Festival at the Grand Lake Theatre in Oakland. This year, the 9-11 film festival begin Thursday, September 8, 2011 beginning at 1:00 pm at the Grand Lake Theater, 3200 Grand Ave., Oakland, and on Sunday, September 11, beginning at 1:00 pm at the Herbst Theatre, 401 Van Ness Avenue, San Francisco. Usually, only a hand full of Black Folk attends the film festival. This year, I hope it will be different. I strongly recommend and encourage that Black Folk for 9-11 Truth attend, participate, learn, organize and join the movement. But, this 9-11 reluctance may not be confined to the Bay Area. I regularly read the blogs and commentaries on the website, Black Agenda Report (BAR). For the 10th sad and tragic 9-11 Anniversary of the blatant clandestine CIA, Pentagon and Executive office’s crimes against democracy and humanity, I asked myself what are the learned, scholarly and articulate brothers and sisters at BAR saying about 9-11. To my absolute surprise, they didn’t talk about it. Operation Mockingbird labels anyone that questions the official mass media-population storyline a nut job and wacko conspiracy theorist. I was under the impression that BAR spoke TRUTH to POWER no matter the threat, subject, labeling or bad jacket. One of America’s greatest crimes of the 21st Century against its own people, mass murder, and they won’t talk about it, acknowledge it pro or con. At this point, I’m not really sure why 9-11 TRUTH to POWER seems to be so taboo among the so-called Hip Hop Generation and our scholarly and articulate brothers and sisters. Nevertheless ten years later, there are 1,540 licensed architects and engineers, over 12,000 supporters and the families of 9-11 WTC victims that don’t believe the government mass media-population storyline any longer. People and groups across the country and around the world aren’t buying the government lies, falsehood, and bad-jacketing propaganda. They are unifying and demand TRUTH to POWER, an independent World Trade Center (WTC) investigation. In order to understand Chauncey’s Assassination, YBMB and 9-11, we must have a clear working acknowledge of the Fort Hunt Treaty, Operation PAPERCLIP, CIA-MK ULTRA and Project CHAOS. In Oakland and a few miles away in Vacaville, the CIA Occult Bureau’s Dr. James Alexander Hamilton of Stanford University ran a diabolical, sinister and clandestine MK ULTRA racket right under our collective noses. He ran an ex-con mind control Black Assassin operation out of a half-way house at 32nd and Telegraph Avenue in Oakland; and the Men’s Medical Facility at Vacaville. The FBI paymaster of the COINTELPRO Ghetto Informant that brought Chauncey Bailey into my office was one of Dr. Hamilton’s boys out of the UC Berkeley Black Studies Department that fronted for the MK ULTRA Black Mafia “Executive Action” program, Black Cultural Association, at Vacaville. Some of Dr. Hamilton’s Black Mafia Boys out of Vacaville was also involved in the CIA mass-wholesale genocidal distribution racket of crack-cocaine in Northern California. All of this clandestine stuff has been rolled up in SQUAD 13 that undoubtedly wanted Chauncey dead; and neutralize and destroy YBMB. They can’t any of the indestructible “BLACK BOXES” from the three 9-11hijacked planes and they can’t find Chauncey’s “BRIEFCASE”. The Assassination of Chauncey Bailey was like 9-11, an inside job. and like 9-11, the Hip Hop Generation and intellectual Black Folk won’t talk about it, whether on radio, television or the internet. Nevertheless just like 9-11, the government mass media-population storyline is falling apart. The cover-up officially showed its ugly face on August 12, 2011 and will continue to play out on August 25, 2011 when SQUAD 13’s song and dance man follow the script and deny Yusuf Bey VI and Antoine Mackey’s Motion for a New Trial and sentence them to life in prison for a murder that it would prove impossible for them to commit, because Devaughndre Broussard was like Sirhan Sirhan. There was a “SECOND GUN.” It was impossible for him, by the physical evidence, to have murdered Chauncey Bailey. I hope it will not take another 6 years on Chauncey’s 10th Anniversary of his horrific slaying to become united and demand TRUTH from POWER, a Special Prosecutor to pursue official and governmental Crimes against Democracy, Murder and Conspiracy; and an independent investigation of the Assassination of Chauncey Bailey, Dr. Marcus Foster and the Destruction of YBMB; Oakland Black Community and its revolutionary and business leaders like Little Bobby Hutton, Huey P. Newton, and Charles Alex Gregory and his family.